Working from the School of Health Sciences at the University of Canterbury, Alice’s research uses data from the Pacific Island Families study, and is focused on social determinants of health and wellbeing. She is also interested in how cultural orientation and acculturation process influence immigrant health outcomes in New Zealand, which has personal relevance to her, she says. After studying Economics and Statistics for her undergraduate and postgraduate degrees at the University of Auckland, Alice worked as a Transfer Pricing (International Tax) Consultant advising clients on cross-border related party transactions before starting her doctoral study at the University of Canterbury. 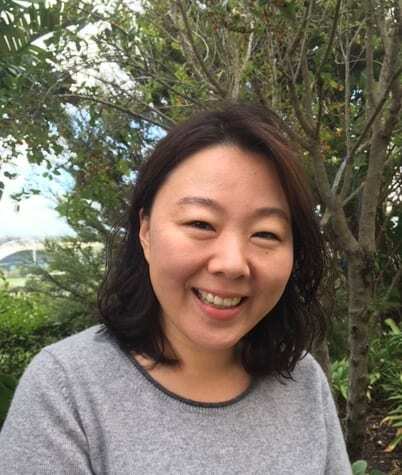 It was a love of maths which saw her return to the University of Auckland to finish her Master’s degree in Statistics, which eventually led to a passion for the sciences. “After a few years working in the private sector, I decided to extend my training in research by pursuing a PhD degree three years ago,” she says. Children’s early development and the intergenerational transfer of inequality are topics Alice has always been interested in, and what motivated her to study Economics, she says. Growing up in West Auckland, Alice attended a very multicultural high school and had a first-hand experience in what it feels like to look and be different from the dominant culture. English is Alice’s second language and it was very challenging to study in a foreign language at first, but she had supportive teachers who encouraged her to study, she adds. Not all her classmates enjoyed the same level of support or positive feedback – and of course, social disadvantages are not ethnically bound. Pasifika people have a strong community presence in West Auckland and they represent a culturally and ethnically heterogenous group but share some common cultural values across ethnic groups and with New Zealand Māori. Alice says she would like to see health considered as a more holistic concept. “The connection between cultural environment, birthweight, early psychosocial and motor skills development and vocabulary imply we need an integrated model to study Pacific children’s wellbeing outcomes,” she says. In the near future, Alice intends to continue researching children’s holistic development and wellbeing.